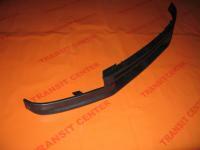 Fender rear right for Ford Transit long produced in the years 1991 - 2000. The fender repair kit fits the model MK4 and MK5 is protected against corrosion and is ideal for welding in place of the old. Fender rear right after purchase must be painted the color of your Transit, the protective layer located on reperaturce not suitable for everyday use.